In the winter of 1942, the Red Army fought valiantly to hold the capital of Stalingrad against a seemingly unstoppable German advance. At great cost and against all odds, the Soviets managed to stop the fascist advance and began their counter attack with Operations Uranus and Little Saturn. 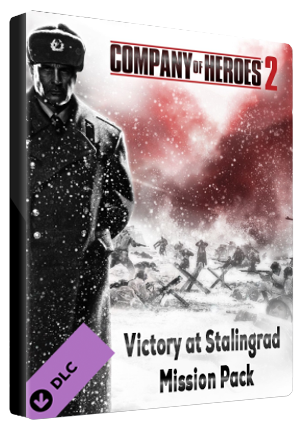 The success of this campaign trapped the Wehrmacht's Sixth Army in Stalingrad and won the Red Army a victory that helped turn the tide of the entire war. 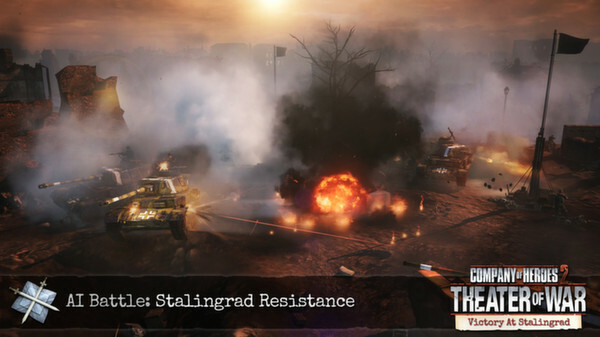 Take command of the Red Army in a series of scenarios, challenges and battles based on this historic victory. Your strategic decisions will lead the Soviets from the jaws of defeat to a crushing victory. KALACH, RUSSIA, USSR. November 1942, Operation Uranus is in full swing. 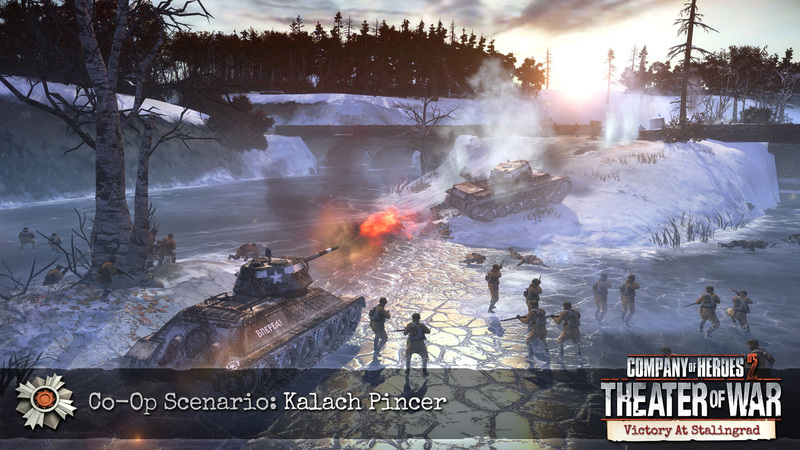 Now, the massive pincer prepares to close on the sleepy hamlet of Kalach-on-the-Don, some 70 kilometers west of Stalingrad.The Soviet 26th Tank Corps attacks from the north, and the 4th Mechanized Corps approaches from the south. 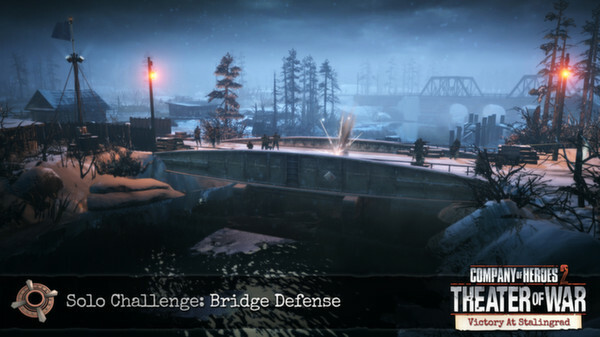 Soviet forces must move rapidly to secure key locations and resources about the town before mounting the final attack on the vital bridge across the River Don. TATSINSKAYA AIRFIELD, RUSSIA, USSR. December 1942, Operation Little Saturn is under way to crush the encircled German forces holding out in Stalingrad, but Luftwaffe air support is keeping the trapped German Sixth Army well supplied.The Red Army's 24th Tank Corps is headed deep into enemy territory. 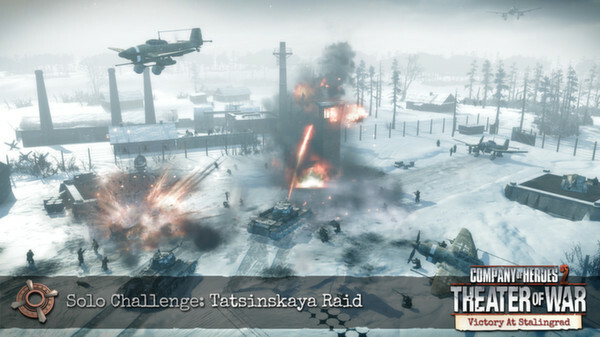 They must take the German airfield at Tatsinskaya and destroy the aircraft there. DON RIVER, RUSSIA, USSR. November 1942, Forced to wait for air units to be ready, the Red Army has had to delay Operation Uranus at the last minute. 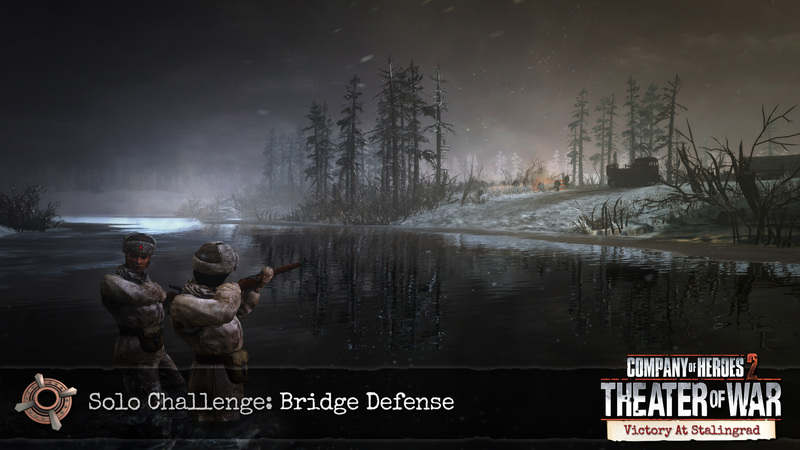 Irregular and Partisan forces have already moved to secure a key bridge across the Don River and must now hold out against determined German attacks. The Red Army is on its way, but for now the defenders are on their own. NEAR STALINGRAD, RUSSIA, USSR. 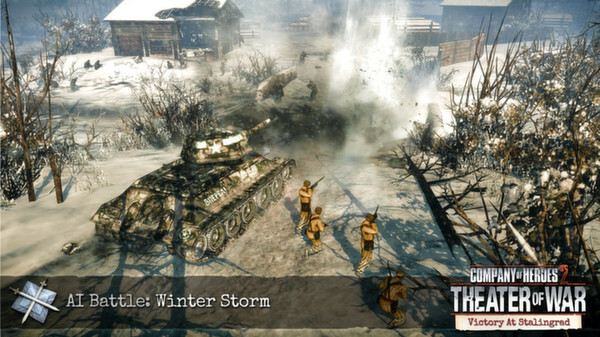 December 1942, The Wehrmacht has launched Operation Winter Storm in an attempt to relieve their Sixth Army in Stalingrad. Soviet forces must block this attack to prevent the fascists from escaping the city. 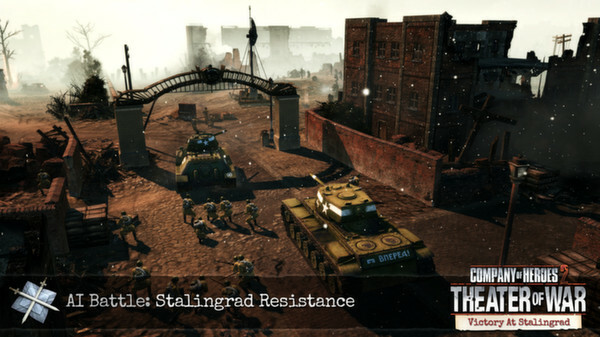 STALINGRAD, RUSSIA, USSR. October 1942, War has raged through the city of Stalingrad for over a month now, reducing the city to blown out buildings and smoking ruins. The Soviets defend the city inch by inch, all the while looking to the skies as the German Luftwaffe drops bombs on any target they can find. STALINGRAD, RUSSIA, USSR. 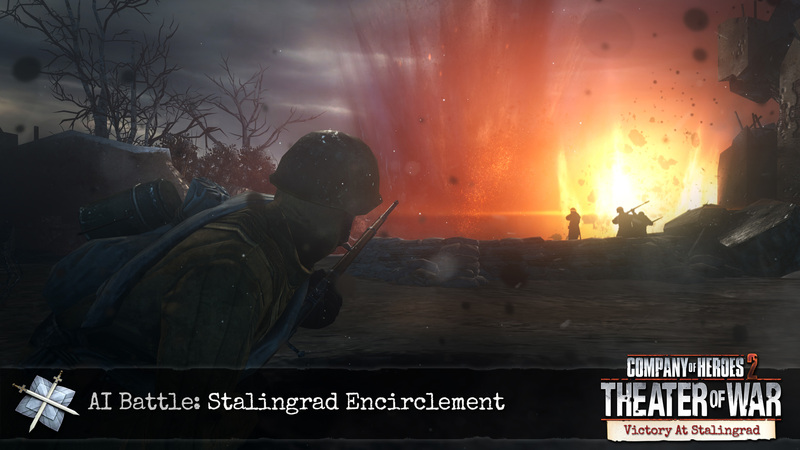 December 1942, Months of bloody close-quarter fighting have led to a decisive turning point for control of Stalingrad. The recently launched Operation Uranus has cut off most of the German 6th Army and left them surrounded in the city. With the German forces now running dangerously low on supplies, the Red Army must repulse a breakout attempt by the exhausted German forces.